Valentine’s Day is the most romantic day of the year – we treat our loved ones to extra affection, beautiful flowers and…of course…candy. But what about our pets? 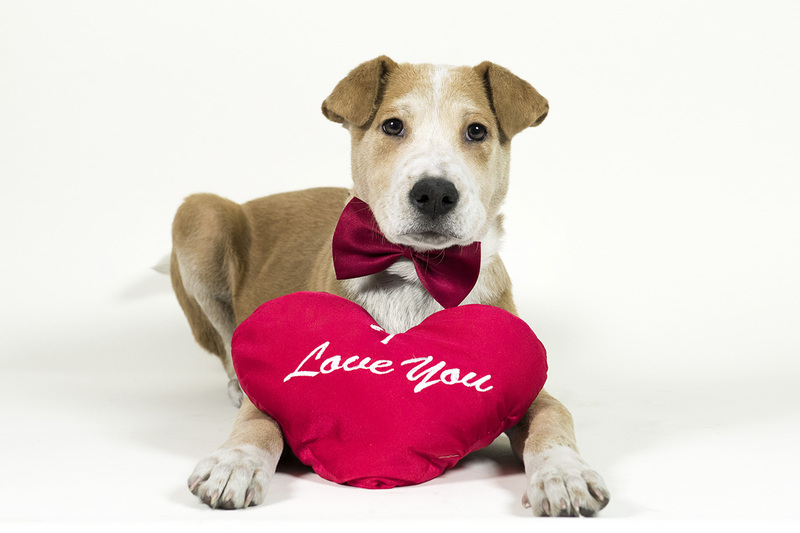 While a new Valentine chew toy or some extra belly rubs would not be out of the question, we must be aware of the hazards that our Valentine gifts can present to our four-legged friends. 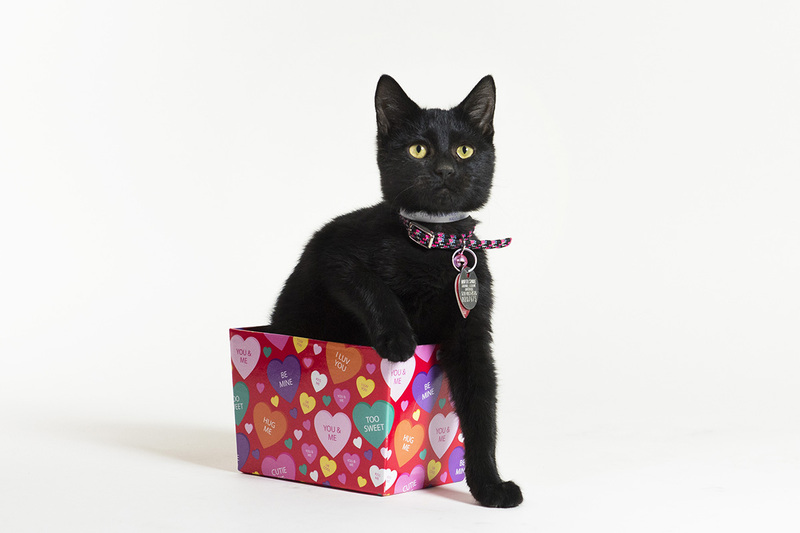 Learn how to spread the love while keeping pets safe from potential Valentine’s Day hazards. Chocolate: The number one danger for pets on Valentine’s Day is chocolate since it’s so readily available. Depending on the amount ingested, chocolate is potentially poisonous to many animals. A good rule of thumb to remember is the less sweet the chocolate, the more toxic it could be. These particular chocolates contain theobromine, which is a substance similar to caffeine. Even in small, non-toxic doses, chocolate can still cause stomach upset, diarrhea, vomiting, hyperactivity, dehydration and seizures. Candy and Gum: Many sugar-free candy, gum and baked products today contain xylitol. Xylitol is a sweetener found in plants that is used as a sugar substitute and is highly toxic to dogs. Dogs ingesting significant amounts of gum or candies solely or largely sweetened with xylitol may develop a sudden drop in blood sugar, resulting in depression, vomiting, loss of coordination, seizures and even liver failure. Symptoms come on very quickly. If you suspect that your pet has ingested any amount of xylitol, call your veterinarian immediately. Plants and Flowers: Many different varieties of flowers and plants are poisonous or harmful to pets. Different plants and flowers have varied effects. Some of the more popular varieties that may be found around Valentine’s Day are: Baby’s Breath, Chrysanthemums, Daffodils, various Lilies, Ferns, Hyacinth, Hydrangea, Impatiens, Lily-of-the-Valley, Rubber plants, and Tulips. Cats, especially, find grass-like plants irresistible and have access to just about everywhere. There are many more flowers and plants that can cause upset and even death to your pet, so please be aware to keep all varieties of flora and fauna away from them. Candles: While they set a romantic mood, candles attract the curiosity of your pets. Don’t leave candles unattended – and be sure the fire is out in your fireplace before calling it a night. Wine: Alcohol and pets don’t mix. Period. Don’t leave any unfinished glasses sitting on counters or tables. Gift Wrapping: After the gifts are opened, be sure to discard the ribbons, bows, tape and other leftover materials which can cause choking if swallowed. A new bone or toy mouse is always a welcome surprise, but there are much better ways to show your pets how much they mean to you—not only on Valentine’s Day, but everyday. Instead of opening your wallet and doling out the dough, spend some extra special time with your dog or cat engaging in some of these fun activities. There’s no better treat you could give them than you! A Walk On The Beach: Before you head out on that romantic Valentine date, make a date with your dog for a walk to the beach or park. Bring a camera and draw a little heart with your names in the sand—or sandbox, if you don’t happen to live on the coast. Then have your dog run right through it and snap a picture. That way, your dog will literally leave footprints on your heart. Time for Some Games: Cats love to play, but you don’t need to hit the pet store to give them some great toys. Move your fingers under a blanket (not the precious keepsake Grandma made) for a quick game of catch the mouse, or use a flashlight for a game of tag (just be careful not to point the light directly in your kitty’s eyes). Happy Valentine’s Day to you and your pets!